I go to Bologna and Milan tomorrow, to talk about children and film. 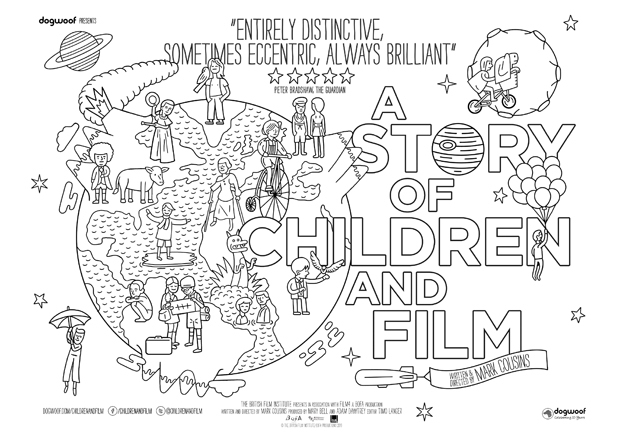 My movie A Story of Children and Film is being released there, and I am to speak at two gatherings of film educators. I am in the middle of a twenty-five city publicity tour, but have today off. No flights, no trains, no hotels. To feel the benefit of the day, I decide to walk across the city where I live – Edinburgh, Scotland – and back. The sun is shining, the equinox has just passed. We are entering the kingdom of the sun. Joy is perhaps the most obvious. A film is a magic carpet ride. When a child watches one, she feels the rapture of self loss. To escape is to escape your worries. Movies bring happiness. To watch films in a cinema is to sit in winter and look at summer. Solace is the flip side of this. Lots of children feel lonely. Their social class, or race, or taste in music or clothes, or burgeoning desires make them feel different from other kids they know. Cinema makes them feel less alone. Onscreen, they see other kids like themselves. From this comes confidence. Of course a child can affiliate through social media too, but it answers back, and can bite back. Cinema doesn’t. When a child watches a movie, he or she encounters art, a brilliant art of space and time. Art is transformative. Encountering form makes us different to how we were. Many children learn through words, but an estimated 10% – 4 million children in Europe alone – are better at learning visually. Our art schools are full of such kids. To force them to try to learn verbally, is to damage their self-worth, and squander their talents. Films show children other worlds, cities, lives, cultures, emotions, ideas, religions, ideologies, hopes. Its vividness makes loss, Iran, solidarity, war, China, Romany culture and many other things, understandable and real. This, in turn, makes wise, informed citizens. More than novels, music or painting, movies are the art of the moment. They are brilliant at capturing spontaneity and seeing the detail, the energy, in the present tense. Childhood is the most spontaneous time in our lives. As we grow up, we often lose that spontaneity. Psychologists and philosophers now understand that appreciating the here-and-now is beneficial to mental health. Cinema helps with that. When children watch films they see a mindful world which echoes their own. In this way, kids and movies were made for each other. 7 If a child watches films, he or she will be more inspired to make them.